Ramadan is almost here & we Muslim Ummah is ready to start this blessed month soon. 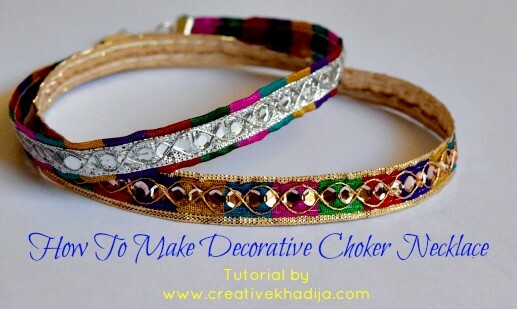 I have planned some creative & quick crafts tutorials as well as some easy recipes for Ramadan. 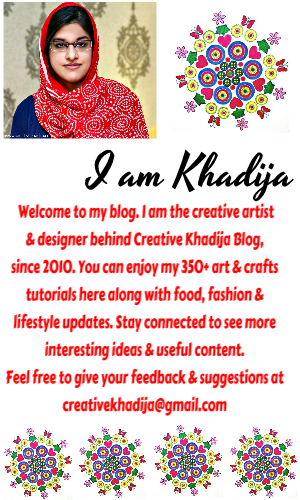 I hope you will stay connected to see some more from Creative Khadija during this blessed month of Ramadan. 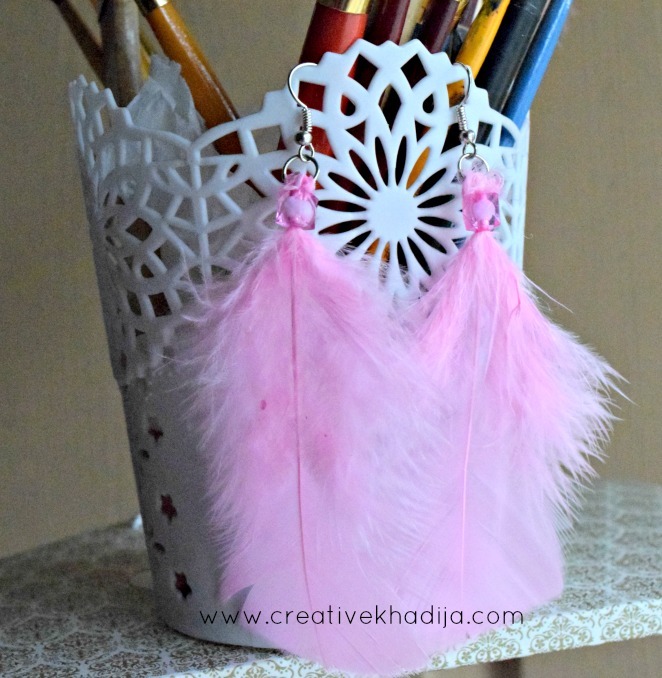 After decorating a pink feathers photo frame for Mother’s Day, Then I decided to make a pair of earrings. 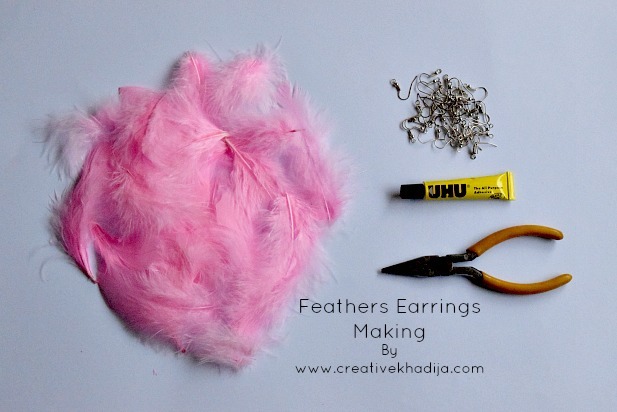 Today I am going to share this easy peasy two steps tutorial how you can make pink feathers earrings yourself. Let’s have a look at my earrings making tutorial today. These look really soft & stylish. They are super simple & easy as well. What do you think? Remember I have shared about these feathers I got from Hobby Crafts UK. These are so many while I have only used a few! 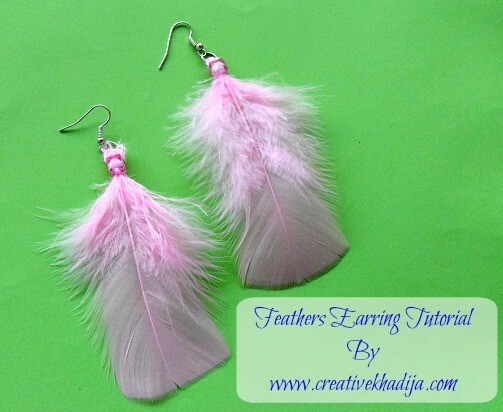 For making pink feathers earrings, You need to get these supplies. I hope you will find these easily. 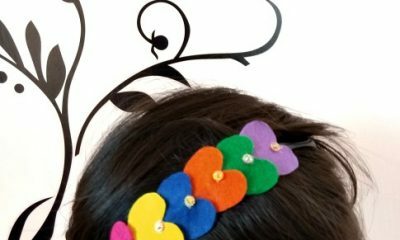 Fix the bead in feather strand with the help of transparent glue. 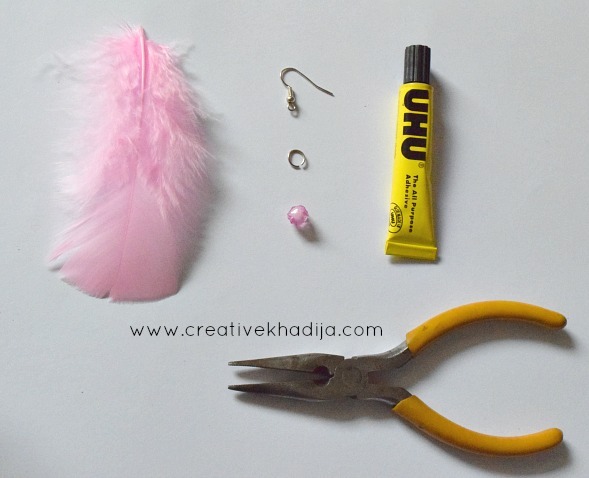 Add jump ring with earring hook & attach it with the feather by making a loop. Feather’s strand will be in a loop shape where you will add jump ring. 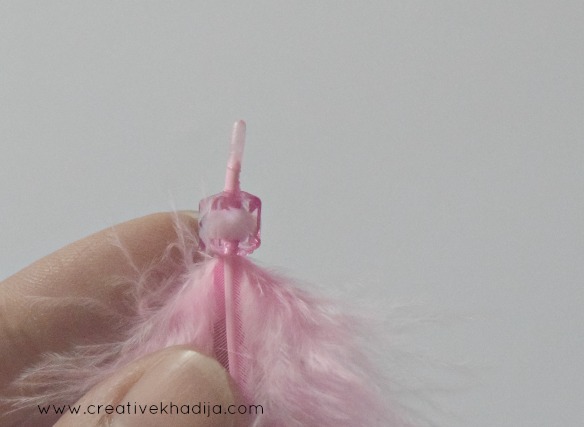 Turn the feather strand back to the bead hole & fix with transparent glue or hot glue. You can see this clearly in this image, If you have any question, Do let me know. I hope you will find this easy idea interesting. 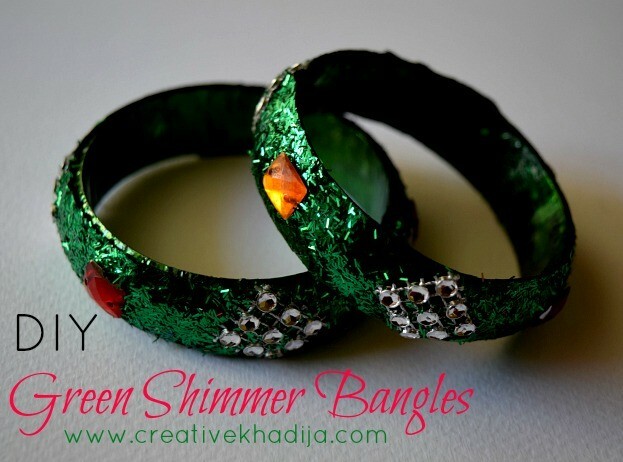 Believe me they are so light in weight & you won’t believe if you are wearing something in your ears or not. But as they are smooth & long, They will remind you more often by touching your neck that you are wearing some ear accessory. 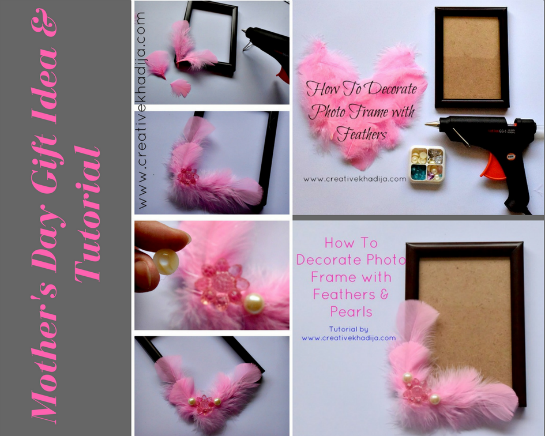 This was my previous pink feather’s craft tutorial. I published this at Mother’s Day. 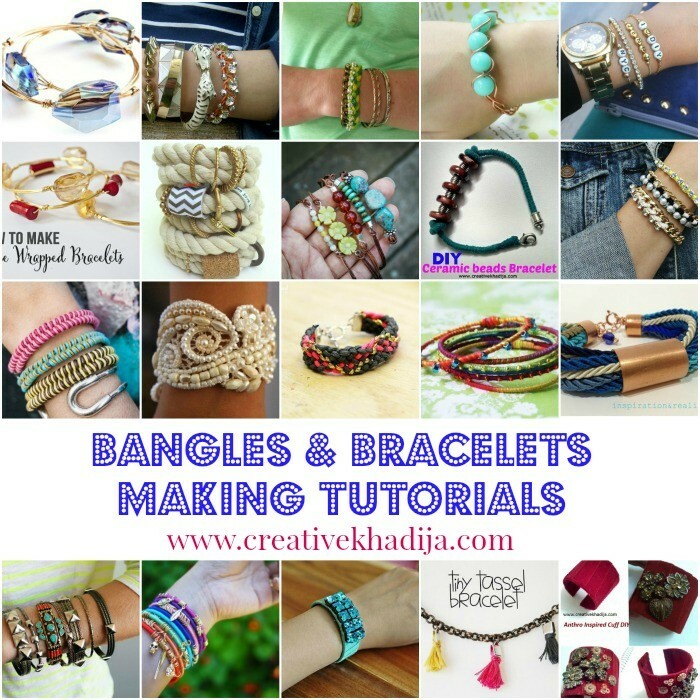 Keep sharing my craft ideas & tutorials with your friends via social media networks. 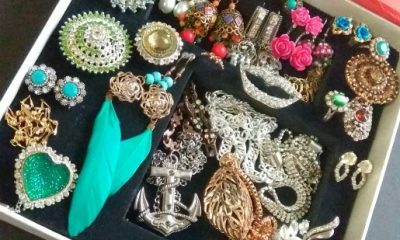 You can have a look at my other jewelry making ideas HERE.